Item # 319414 Stash Points: 1,995 (?) This is the number of points you get in The Zumiez Stash for purchasing this item. Stash points are redeemable for exclusive rewards only available to Zumiez Stash members. To redeem your points check out the rewards catalog on thestash.zumiez.com. Slide into signature Volcom style this summer when you rock the Thrills Purple Sandals from Volcom. 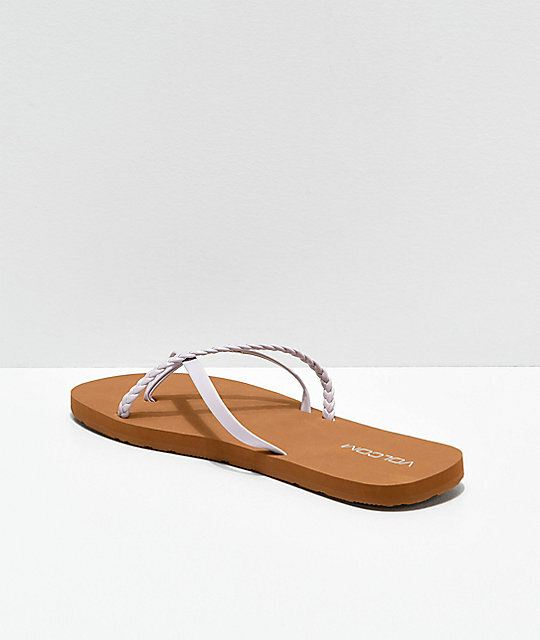 These strappy sandals feature a light purple upper with a thong style fit. 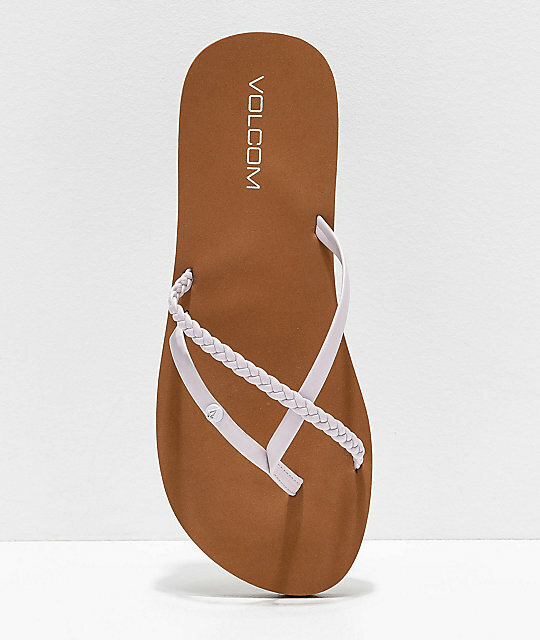 Soft foam footbeds offer comfort, while the Volcom Stone tread pattern offers traction for all of your beach or pool adventures. 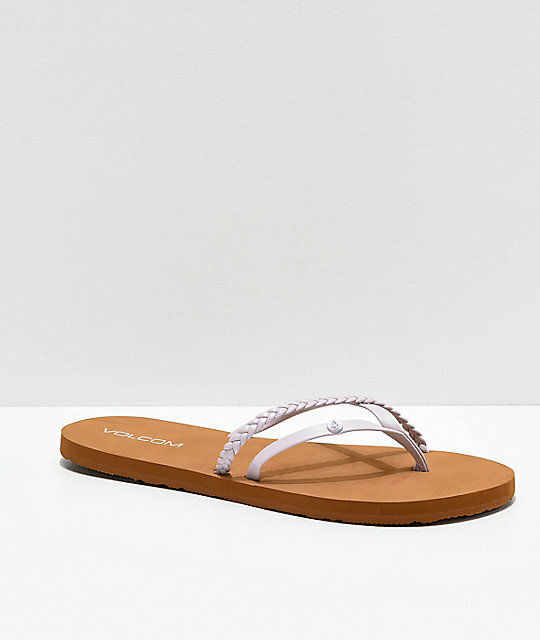 Thrills Purple Sandals from Volcom. Light purple PU upper with small Volcom Stone metal logo. 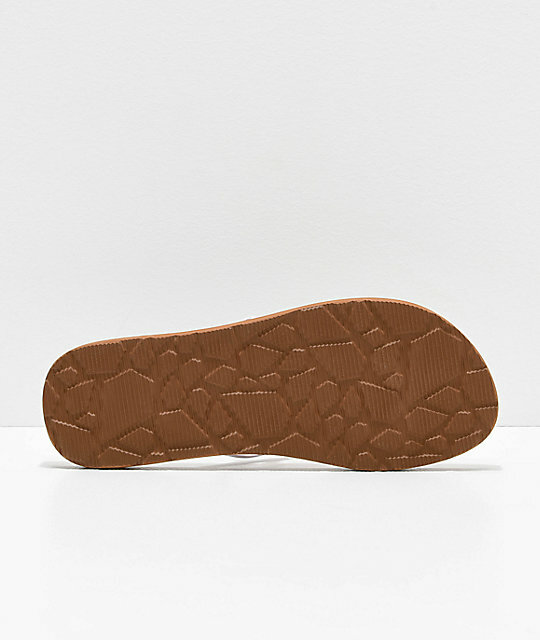 Molded EVA outsole with Volcom Stone tread pattern for grip.